LifePoints is a fairly new paid survey site and it is advertised many places online. But is LifePoinst a scam or is it a legit site worth your time? I decided to check it out for myself and see what it really offers. Let me reveal right away that it has potential but it also has some unknown factors you need to consider. 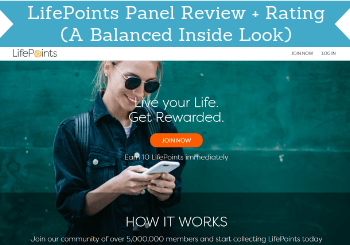 In this LifePoints Panel review, I will give you all the details and an inside look so you can see what it really offers before you join. What is LifePoints Panel and what does the site offer? In one sense LifePoints Panel is a fairly new survey site. But in another sense, it has actually been around for years. It has existed for a while as the LifePoints App, but that has been discontinued after the LifePoints Panel website was launched with a new concept. LifePoints is actually a merger of the two sites GlobalTestMarket and MySurvey. At the beginning of 2019, they merged into one and is now called LifePoints. It is a new site and is different from the two sites that merged in some ways but in many ways, it is also a lot the same. So if you know those two sites, LifePoints might seem familiar to you. Since it is a fairly new site and a lot has been going on through the merger, it seems like there are some small glitches here and there. It might just be because it is new – we will not know yet but I will keep an eye on it and update this review accordingly. Below I will, therefore, go over both the potential the site has as a member but also some cons it has so you can get a balanced view before deciding to join or not. So let’s start by going over what you get as a member of the LifePoints Panel and the options you have. The LifePoints Panel is a very simple survey panel after you log in. I do not mean this is a bad way. Sometimes the simple panels are really great because they do not have a lot of distractions and are very easy to start using. That is also the case for LifePoints Panel. After you sign up and confirm your email, you just have to answer a few questions and it only takes around 1 minute. Then you get access to the members area and your dashboard. When you first join, you will likely not see any available surveys there. Do not worry about that. You will soon start receiving invitations for surveys via email. I started receiving email invitations after around 1 day as a member. After this, you will see the available surveys when you log in. You can see the available LifePoints Surveys on your dashboard or just wait to receive the email invitations. However, you do not actually have to log into LifePoints to check for available surveys. You can just wait for the emails and then click the link there that will take you to the survey. In the emails, you can always see the reward you will get before you start. In my experience, the rewards for the time spent is pretty decent compared to other survey sites. Also, even though you will likely not qualify for all the surveys you are invited for, the percentage I have been accepted for has been quite high. And the surveys I have taken have been highly relevant and about relevant political and societal topics. This makes them interesting and a point to remember, that is often overlooked when it comes to paid surveys, is that you will actually have your opinion heard on important topics. Just be aware that some surveys only need limited respondents so to get the best chances of qualifying it is a good idea to not to wait too long to take the survey after you receive the invitation. Overall, LifePoints Panel is very user-friendly and the amount of survey invitations you get is decent, in my experience. The exact amount, of course, depends on the country you live in and it is also a good idea to join other sites to get enough options – especially because this is the only way to earn on LifePoints. The LifePoints surveys can definitely be worth participating in but you just need to be aware that there might not be options every day. You do not really get access to anything else than the surveys on LifePoints. Not that this is a bad thing as it makes it very simple and easy to use. But just so you know that it does not have any other ways of earning at the moment of writing this review. There is, however, one thing more you can find as a member. 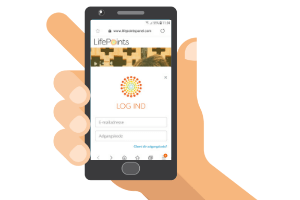 LifePoints advertise on the website you become a part of a community. There is not so much a community yet even though it is advertised. I would say this might be stretching it. What you get access to is different blog posts and updates on your dashboard. These can be very interesting and helpful at times as this is also where you can see updates about the platform. I would not really call it a community, but maybe it is the plan for them to develop it into this – only time can tell. There is one more way to get a bit of points on LifePoints. You get a small joining bonus after signing up. You get 10 points just for signing up and then 10 points for confirming your email. So the total joining bonus will only be worth around $0.30 so not a big bonus but still nice to at least get a few points right away. Every time you take a LifePoints survey, you earn points. You can then get these points paid out in various ways. There is a whole store where you can select between getting paid in cash through PayPal, gift cards, or donate to charity. There are some good payout options on LifePoints. The exact rewards available will depend on the country you live in. Personally, I think it is great you have the option to get paid in cash through PayPal or get gift cards depending on your preferences. What can be a bit confusing is, however, exactly what your points are worth because that depends on the reward you choose. 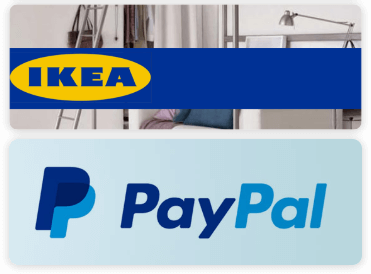 If you want to get $15 through PayPal it will cost you 1150 points but if you want a gift card to IKEA for the same amount it would cost you 1250 points (where I live). So this makes it a bit difficult to calculate exactly how much your points are worth. But a rough average estimation would be that 10 points is approximately worth $0.15. The payout threshold starts at around 725 points for a few gift cards. But for PayPal, the payout threshold is 1100 points which will give you around $15. So the payout threshold is not too high but the point system can be a bit confusing at first. The big question many people have about most survey sites is how much money they can make there. When it comes to LifePoints Panel, it is definitely a way to make a bit of extra cash on the side. It does have a decent amount of surveys, but it will not make you more than some extra side cash. 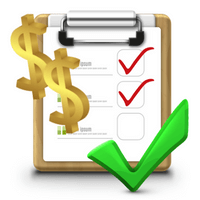 I would say that you should definitely also make sure to join some top paying survey sites in addition to LifePoints to get enough earning opportunities. But as LifePoints is so simple and easy to use, it can be a nice extra addition and a nice extra survey site to join, in my opinion. Yes, you can use LifePoints Panel on mobile and take surveys from there. That makes it easy to use on the go, and it is always great when a survey site offers this option. As mentioned earlier, LifePoints used to just be an app, but after the LifePoints Panel website was launched, the app is not available anymore. That is not a big problem though as the website is fully optimized for mobile so it is easy to use on mobile – even on smaller screens. But to be able to participate on mobile, the most important thing is that you have access to your email, so you can check if you get a survey invitation and then click the invitation link in the email. Who can join LifePoints Panel? LifePoints is available in around 40 countries at the moment of writing this review. To join, you have to be 16 years or older. Argentina, Australia, Austria, Belgium, Brazil, Canada, China, Colombia, Czech Republic, Denmark, Finland, France, Germany, Greece, Hong Kong, Hungary, India, Indonesia, Italy, Malaysia, Mexico, Netherlands, New Zealand, Norway, Philippines, Poland, Portugal, Romania, Russia, Singapore, South Africa, Spain, Sweden, Switzerland, Taiwan, Thailand, Turkey, United Kingdom, United States of America, Vietnam. So as you can see, it is available in big parts of the world. It is always good to know you can get support if you should need it as a member of a survey site. This is an area where I am not too excited about LifePoints Panel yet. And from what I can see in other LifePoints reviews, there are some frustrations from some other members about this at times. You can see an example of a review from Trustpilot that mentions this issue. There are some complaints about poor support. Most of the complaints I have seen are in relation to problems with the merger of GlobalTestMarket and MySurvey into LifePoints Panel and the frustrations about not getting proper help about this. It is natural that there will be some issues when several sites merge and there might be some issues with memberships. I think most people can understand this. But from what I have seen, the LifePoints support could have handled it better. I have actually contacted them ones myself. I must say that I got a fairly quick reply but it seemed more like just a standardized reply that did not really answer my question fully. Luckily, it was not a technical issue so I could still continue using the platform. From this answer, it could seem that the support is very busy here in relation to the merger, and we can then hope this will improve over time. But if you join and need help, just be aware that it might take some patience and several emails from you to them to get an answer. LifePoints Panel is a legit survey site with long-lasting companies behind it. But that does not mean it will be the right site for you. It definitely has both pros and cons so let’s finish by summing these up so you can get a better overview before deciding to join or not. Overall, I think LifePoints Panel can be a good extra survey site to join. It has just recently been through a merger and therefore there seem to be a few issues at times. But, in my experience, it is very easy to use, gives decent rewards, and has good payout methods. I do not think you should join it as the only site as that would give you too few surveys. But as one of your chosen sites, it can be an easy way to get access to surveys. How to join LifePoints Panel? It is very easy to join LifePoints Panel. You just click the button below, choose your country, and you will then be taken to a short sign-up form. Remember you need to confirm your email to get access to the surveys. You will get bonus points both for joining and for confirming your email. If you have any comments, questions, or have any experiences with LifePoints Panel yourself, I would love to hear from you in a comment below. LifePoints Panel has a decent amount of available surveys and offers good payout methods. Since several platforms have merged to become LifePoints it seems there have been some issues getting everything to run smoothly. So especially if you need support it can take some patience. But because it is so easy to use and is available in some many countries, it can be worth joining as an extra survey site.